The Polestar-run Volvo team beat Honda to the manufacturers' title at the Qatar season finale, while Thed Bjork also defeated Norbert Michelisz in the drivers' standings by 28.5 points after the Honda driver suffered a master cylinder failure in qualifying. 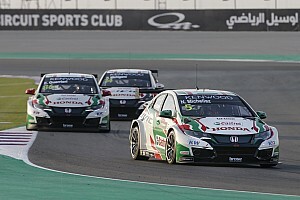 Michelisz became Honda's leading title contender after Tiago Monteiro, who led the championship before the mid-season break, was involved in a testing crash at Barcelona that ruled him out for the remainder of the season. Honda drivers also claimed six victories to the four Bjork and teammates Nicky Catsburg and Nestor Girolami managed in 2017. 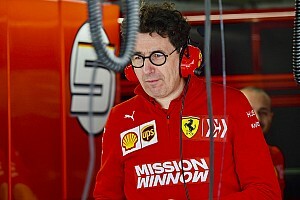 Responding to Murdzevski Schedvin's comments that Polestar's place in Volvo's set-up had played an important part in securing both titles, Mariani said a depiction of "chaos" at Honda had instead highlighted one of the JAS-run squad's biggest attributes. 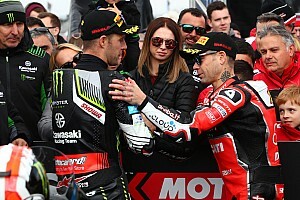 “I read his statements [in the article] and honestly, I smiled," said Mariani in a statement issued to Motorsport.com. "He said that in Honda there is chaos and that we cannot understand each other. How then, does he explain the fact that we managed to get more victories and pole positions then Volvo during the season? “On top of this, we have a great harmony in the team between the staff. "We’ve had to change the driver line-up after Tiago’s accident, but the guys that have come in [Gabriele Tarquini and Esteban Guerrieri] have always adapted perfectly, which has allowed us to manage at the best the situations on the track and to overcome difficult moments. "I was amazed by his negative observation on what has actually been a great strength; being able to integrate various cultures within the team. "We’ve benefitted from a variety of different working methods and this has helped to make us race winners every year for the past five seasons." As well as Monteiro's accident, Mariani cited the opening race in Japan - in which Catsburg and Girolami both received drive-through penalties for incidents with Ryo Michigami and Michelisz respectively - as a critical influence on the final standings. “The final result of 2017 is still frustrating to all of us, because it was decided by several isolated episodes," continued Mariani. "Tiago was clearly leading the championship before being forced to forfeit the second half of the season due to injury. "If you look at the numbers, you can see that we were clearly the strongest team. “The Motegi opening race was a snapshot of the season-long behaviour of both teams. No Honda has hit one of their cars at all in 2017, yet in Japan alone all three of their drivers hit all three Hondas.